Eco-Wares® (est. 2001) is the sales division of Envirosafe Manufacturing Corporation (est. 1993). We are a direct ship manufacturer that specializes in providing environmentally safe residential, commercial and industrial building and maintenance supplies. Each product line offered is subject to extensive review to ensure that the materials used greatly exceed all U.S. State and Federal EPA guidelines. Yet, our environmental concern extends beyond the base materials to the manufacturing process itself. Our manufacturing plants incorporate modern technology combined with unique formulas to ensure quality control. Staff chemists are always available to answer any question, whether it regard the Material Safety Data Sheets (MSDS) or specific product applications. Call us for contractor or quantity discounts. 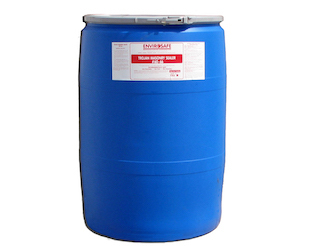 Most products are available in larger containers such as 55 gallon drums and 240 gallon totes.